Our Mission: To serve all of the residents of Franklin County by providing care that is professional, compassionate and of high quality, delivered by competent, dedicated employees in collaboration with others, who share our values, in order to achieve positive outcomes for our patients. Case Management/Discharge Planning Department evaluates patients upon admission and establishes plans for discharge appropriate to the patient's individual need. Office Hours are 7:30 a.m. to 4 p.m. Monday through Friday. The Case Managemnet Department facilitates discharge planning with patients, families, physicians and other members of the health care team such as nursing, dietary, and therapy. 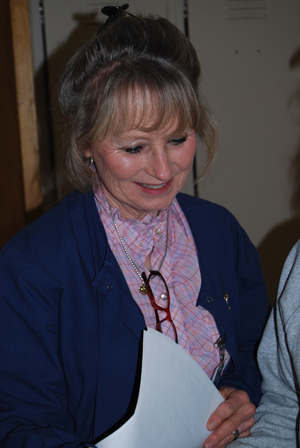 Improves therapeutic communication to better meet the patient's needs. Advance Directives: Provides information and forms for HCPOA (Health Care Power of Attorney), DNR (Do Not Resuscitate), Living Wills, and Mental Health Declarations. Home Medical Equipment, Home Oxygen, Walkers, Hospital Beds, Wheelchairs and Medical Supplies. Emergency Response Systems: Information on I.D. Necklaces/Alerts to Obtain Help in Emergency Situations at Home. DORS (Division of Rehabilitation Services), Office of Rehabilitative Services: Home Service Programs for the Disabled under the age of 60 who qualify. Inpatient/Acute Rehabilitation Services: Evaluation and Treatment Options for Outpatient and Inpatient Services. Swing Bed Admissions: Hospital-Based Short Term Extension for Skilled Nursing Services and/or Rehabilitation Services including Physical Therapy, Occupational Therapy, Speech Therapy. For more information, contact Star Gholson, RN, Case Manager at 618-439-3161, Ext. 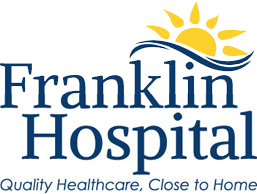 9725 or by fax to 618-435-3981 or by email star.gholson@franklinhospital.net.